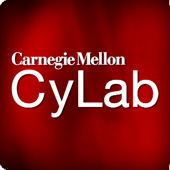 Carnegie Mellon University CyLab has been awarded a multi-million dollar contract for research into Understanding and Disrupting the Economics of Cybercrime. Nicolas Christin, CyLab Senior Systems Scientist and Associate Director of the Information Networking Institute (INI), is Principle Investigator (PI). His co-PIs are fellow CyLab researcher Alessandro Acquisti, along with Tyler Moore of Southern Methodist University, Ross Anderson of Cambridge University, and Ryan Williams of NFCTA. Richard Clayton of Cambridge University will also participate as instrumental senior personnel. Based on the realization that focusing on a particular attack, or a specific set of attacks, is unlikely to provide the detailed level of understanding necessary to design meaningful intervention policies against cybercrime, the methodology developed by Christin and his colleagues holistically combines network measurements with behavioral and economic analysis. The project will consist of four research tasks: designing cybercrime indicators, designing data interchange formats and standards, modeling online-crime supply chains and modeling attackers' behavioral psychology The contract is one of thirty four, totaling $40 million that the U.S. Department of Homeland Security (DHS) Science and Technology Directorate (DHS S&T) has awarded to twenty-nine academic and research organizations. This funding is for research and development of cyber security solutions. In January 2011, the DHS S&T Cyber Security Division (CSD) issued a Cyber Security R&D Broad Agency Announcement (BAA 11-02) that solicited proposals for 14 Technical Topic Areas (TTAs) aimed at improving security in federal networks and across the Internet while developing new and enhanced technologies for detecting, preventing and responding to cyber attacks on the nation's critical information infrastructure. BAA 11-02 elicited white paper responses from more than 1,000 offerors. Following extensive review and down-select process, more than 200 offerors were invited to submit full proposals for final review. And of those, new awards were made to the twenty-nine organizations that were announced on October 26, 2012.